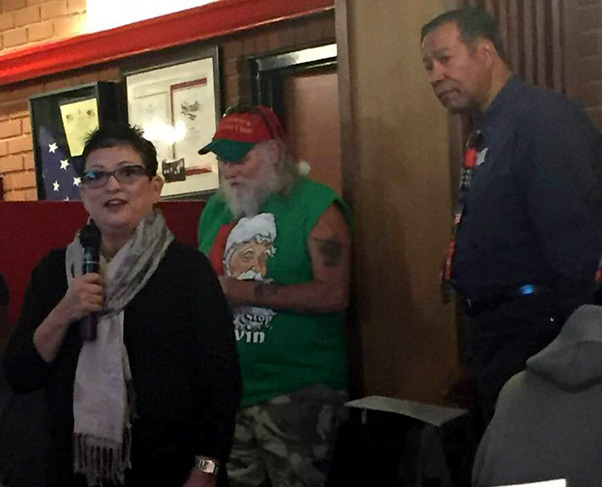 Dec. 5, at Coffee4vets at Crazy Otto’s Restaurant on Avenue I in Lancaster, Christine Ward — veterans field deputy for Congress Rep. Steve Knight — announced procedures for veterans obtaining a Veterans ID card. 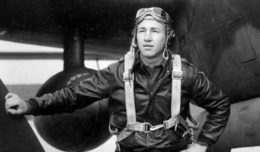 The new card does not qualify veterans for VA health care benefits, but it can be used in lieu of DD Form 214 as ID for discounts and services offered to veterans. The new Veterans I.D. Card provides a more portable and secure alternative for those who served minimum obligated service time but did not meet retirement or medical discharge threshold. To request a card, qualified veterans must visit vets.gov, click on “Apply for Printed Veteran I.D. Card, and sign in or create account. Veterans who qualify should receive their card within 60 days. If you need help, contact Knight’s office at 661-441-0320 or visit the office at 1008 West Avenue M-14, Suite E, Palmdale 93551.